The $13.7 billion purchase of Whole Foods only received a green light on Wednesday, but the company has already announced that the deal will be done on Monday, August 28th. 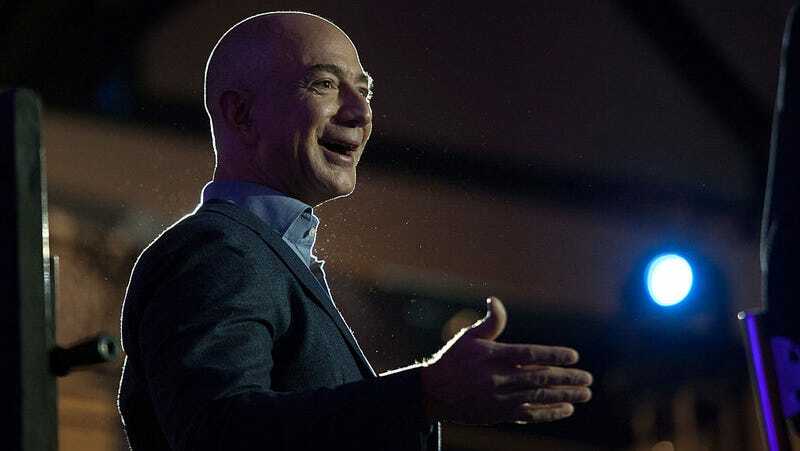 In a PR statement that will inspire lovers of $6 asparagus water, Amazon says that it will immediately drop the notoriously high prices at the grocery chain, and Amazon Prime memberships will soon become the store’s rewards program. Jeff Wilke, CEO of AmazonWorldwide Consumer, said in the statement that “a selection of best-selling grocery staples, including Whole Trade organic bananas, responsibly-farmed salmon, organic large brown eggs, animal-welfare-rated 85% lean ground beef, and more,” will be discounted to an unspecified amount. John Mackey will remain CEO of Whole Foods, and the deal is being painted as nothing but a win for consumers. “By working together with Amazon and integrating in several key areas, we can lower prices and double down on that mission and reach more people with Whole Foods Market’s high-quality, natural and organic food,” Mackey writes in the statement. It remains to be seen if Whole Foods’ supplier chain will change or if Amazon will begin to use brick and mortar locations as mini-distribution centers for its AmazonFresh program. We still don’t know how the larger master plan of the Amazon-ified Whole Foods will play out, but customers will know they’re buying from Bezos the moment they walk in the door. Amazon Prime will function as a rewards program for deals and in-store benefits “after certain technical integration work is complete.” Amazon Lockers will be installed at store locations so that customers can pick up or return items that have been ordered online. For its part, Amazon will now be able to sell the Whole Foods private label brands through its Amazon.com, AmazonFresh, Prime Pantry and Prime Now services. Kindle kiosks beside the magazine racks seem like an inevitability. As usual with Jeff Bezos, the strategy seems to be all about expansion and market share, rather than an increase of profit margins. According to Recode, when all is said and done, Amazon banks about two percent of its sales, while Whole Foods comes in at about five percent. So, the ability for Whole Foods to relax its pursuit of profit and lower prices was an entirely predictable development. The lower prices at Whole Foods combined with Amazon’s discounted rates on Prime memberships for people on government assistance programs could mean that both retailers will be more accessible to a demographic that was previously priced out. And Whole Foods is promising new location openings along with a hiring spree.